Nagasaki, located in western Japan, is a city heavily influenced by Western culture. In the 1500s, Portuguese explorers landed in the area, which soon became a trading port. Today, Nagasaki is famous for its European-style cityscape and night views. With the mix of Japanese and Western cultures, a trip to Nagasaki is an extremely unique experience. Christianity plays an important role in Nagasaki’s history. Being the only city in Japan to have international connections in the past, Nagasaki was influenced by various foreign cultures. Oura Church, located right beside the entrance of Glover Garden, was built by two French priests and is the oldest church in Japan. 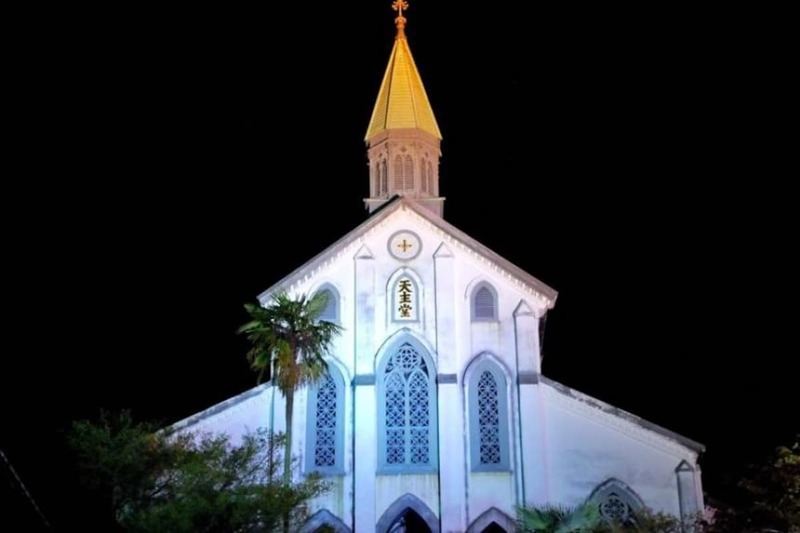 Although there are many other churches in Nagasaki, Oura Church is most famous due to its photogenic exterior. It is also illuminated at night, and the beauty of the well-lit stained glass is beyond words. Nagasaki is renowned for its exotic streets and resplendent night views. However, its name also carries a tragic history – Nagasaki was hit by an atomic bomb 3 days after Hiroshima suffered the same fate. 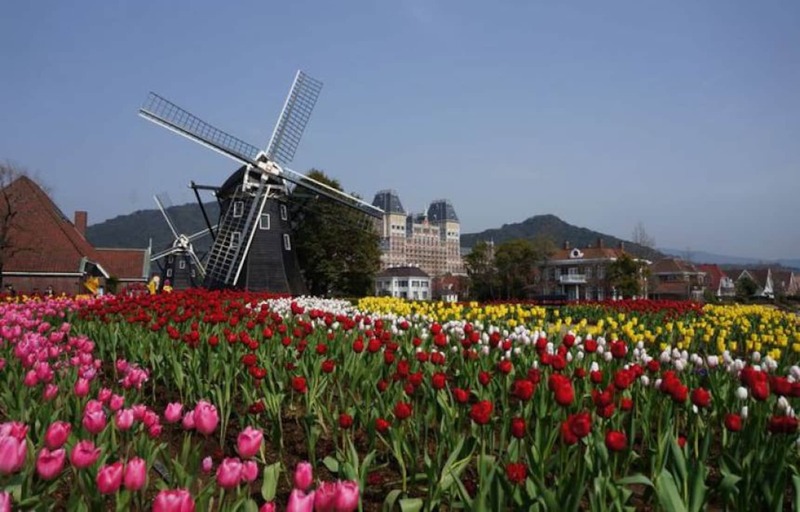 Nagasaki Peace Park is a symbol of world peace, and we can learn its history in the museum located within the Peace Park, where various historical artefacts are on display. When you visit Nagasaki, you must try out the Castella there. Castella is a sponge cake made from very simple ingredients such as eggs, sugar, flour and starch syrup, and it is a confectionary that was originally brought in by Portuguese trade merchants. Today, there are numerous shops in Nagasaki famous for Castella and one of the most famous ones is Bunmeido, a shop with over 100 years of history. The soft cake and rough sugar blends well, giving a unique texture that will get you addicted. Castella usually lasts for about 2 weeks and it can be the perfect Nagasaki souvenir too!